At OrthoGroup, we believe we make the finest Broach Handles, Cup Inserters, Reamer Handles, and Acetabular Angled Drilling Systems on the market. 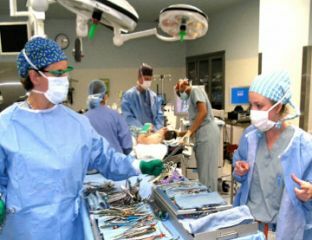 To prove it, we gladly offer surgical professionals (instrument reps and surgeons) the opportunity to evaluate our instruments in their OR at no charge. As part of our Instrument Loaner Program, upon request, OrthoGroup will ship any of our instruments to you for a free two week evaluation. All OrthoGroup instruments are available. Please, submit the request form below or call us today for details and/or to arrange for your free loaner. Conditions apply. Thank your for contacting Orthogroup.